There’s just something about orange in cake that is so beautiful isn’t there? 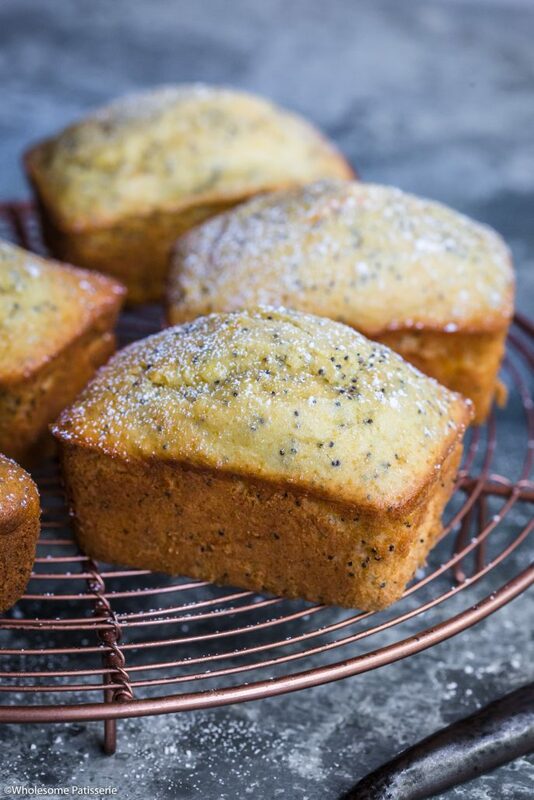 A certain elegance if you will, so that’s what’s on the menu today, delightful and delicious Orange Cakes with poppy seeds! 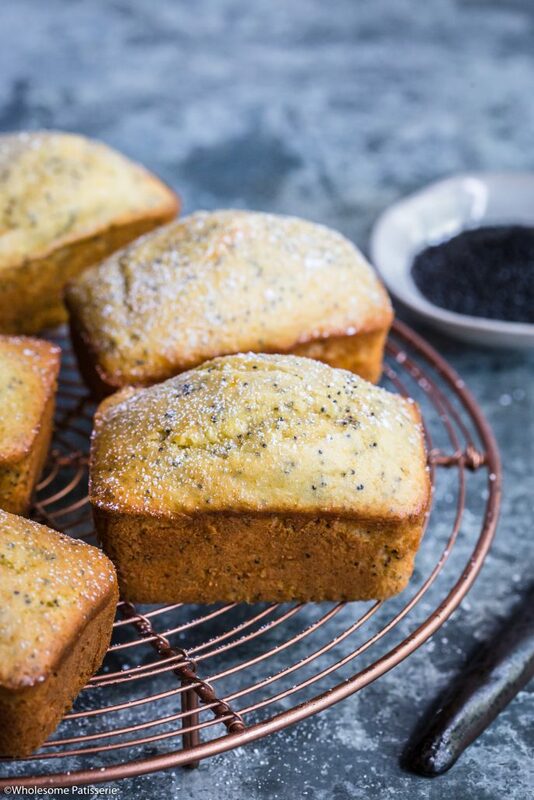 Poppy Seeds compliment the fresh orange zest and juice in these loaves, creating one scrumptious mouthful each time! 1-bowl cakes never fail to impress! 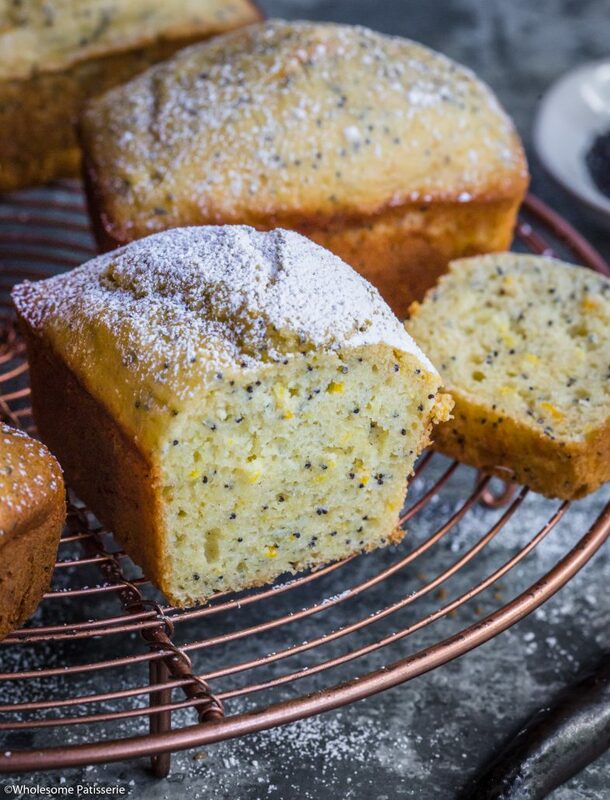 These zesty orange cakes are perfect for your weekly snack and for your relaxing weekend afternoons. You could also make them to celebrate a special occasion! When will you be baking up a storm in the kitchen? 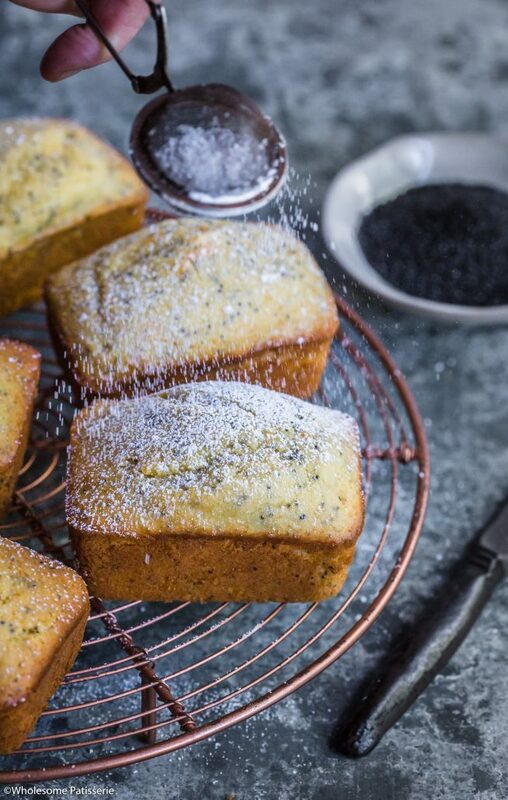 Will these tasty orange poppy seed cakes be next? Preheat oven to 180ºC (356ºC). Grease a mini cake loaf pan with coconut oil or butter. Set aside. Melt butter first and then set aside to cool slightly. In a large mixing bowl, combine flour, baking powder, sugar, orange zest and poppy seeds, mix well. Pour in orange juice, eggs, vanilla and the melted butter. Whisk ingredients together until combined and smooth, do not over-mix. Evenly distribute batter into greased loaf pan, filling each approx. ¾ of the way up. Bake 15-20 minutes or until a skewer inserted into the middle comes out clean. The cakes should be set and spring back when gently pressed. Remove from oven and cool in pan for 10 minutes. Gently remove cakes by carefully running a butter knife around the edge to lift each out. Transfer cakes to a wire rack to cool completely. Dust with icing sugar to serve. Store cakes in an airtight container, in the pantry or refrigerated, for 3-4 days. Could you omit oj or sub soymilk ? COPYRIGHT ©2016 Wholesome Patisserie. Material may not be duplicated, published, or re-written without permission.